Ability to choose the same style of play as another player but modify the unique Icon Abilities of the player’s tendencies and ratings to ensure they put their own spin on each game. While players may start the same, this development makes sure that no players develop the same. New story and a new presentation of your player’s journey to glory and new additions to both The League and The Streets. 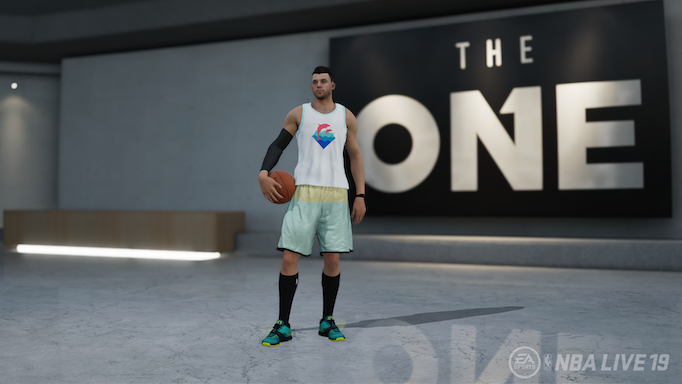 Ability to unlock special rewards such as signature throwback jerseys, kicks and specific animations tied to that ability, making you look and play differently during the game. Hoop dreams go global — Expanded Pro-Am tour turns into The Streets World Tour, featuring courts around the globe in places such as Paris, Rio de Janeiro and more over the course of the year. 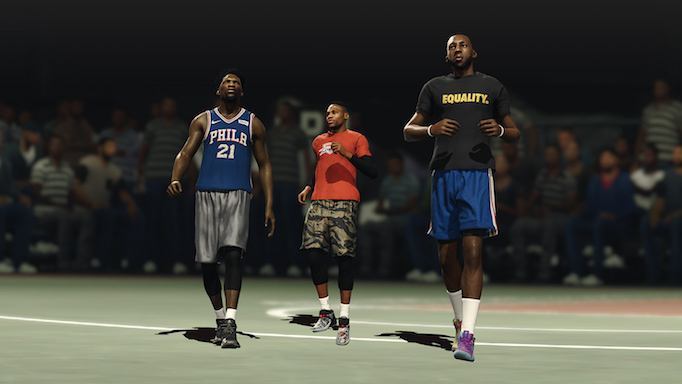 Chip-chasing — Since NBA LIVE is all about making your own decisions, make your way back to The League whenever you want. When you do, you’ll get every chance to grow your own player and take your team deep into the playoffs. The interesting part about The League, though, is the decisions you make can influence the trajectory of your professional career and even your own personal life. This stems from everything, such as choosing where you want to play, getting messages from other NBA stars, and even building your own profile in the news so that everyone knows your name. Birth of a Global ICON. The NBA is the only league where players such as Enes Kanter won’t ever come close to being seen as a star but would definitely make the all-star squad on #NBATwitter. 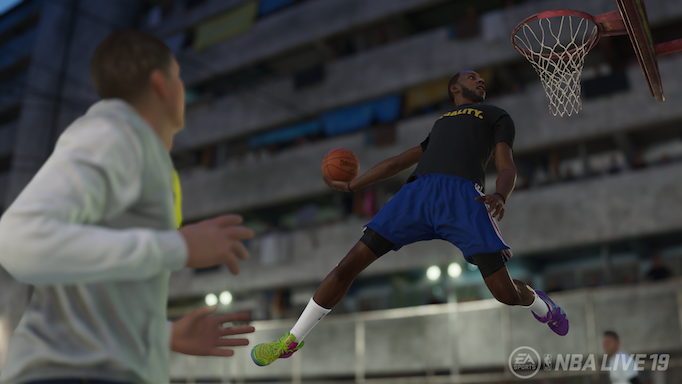 This year’s NBA LIVE gives you the chance to become a star both on and off the court. Capturing this global cultural and social influence aspect of the NBA is a major hurdle that the team looked to make happen for fans in 2019. Fully customizable experience. 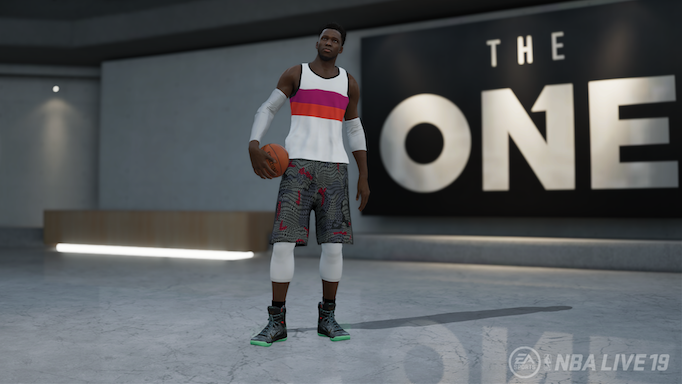 In NBA LIVE 19, you can change your game to model some of the greatest who have ever touched the hardwood by incorporating the skills, abilities and personalities of current and retired stars. If you want to lead your teammates like Magic Johnson, you can. You can add in some elements of former Defensive Player of the Year Dikembe Mutombo’s game and become a menace down low. With the new Icon System, all of this possible. Real Player Motion. Give players a much smoother and more responsive experience. Big jump in quality regarding ball carrier movement. Lots of signature player movement. Guys such as LeBron James, James Harden, Kyrie Irving and Stephen Curry will move like they do in real life. Faster acceleration, different nuances of how they dribble and how they move, all controlled with the left stick. Off-ball player movement has also been upgraded to Real Player Motion. Player movement is much more responsive and smoother when controlling players in the half court or in transition. You can do a lot of different moves on just the left stick alone. You don’t need to be a master on the right stick, but there’s a lot more players can do and it’s a lot smoother and easier to pick up and play. It’s a lot more responsive and authentic with signature player movement. Overhauled triple-threat control. All-new jabs steps, as well as a pump fake system have been converted to Real Player Motion technology. Addition of all-new counter and combo moves for both in The League and The Streets. The ball handler will have a lot more freedom and control than last year. Expanded one-on-one system to off-ball. On defense, you can hold your left trigger to body players up away from the ball. On offense, there’s a series of counter moves like V-cuts, L-cuts and different right stick moves to get you open. There’s a whole new game within the game with off-ball play. New interactive environment. You’ll see players save the ball into the bench and the crowd, fall into the cameramen or crash into the stanchion and you’ll also see players talking trash with the opposing team’s bench or crowd members in Pro-Am. They’re also introducing court-storming in Pro-Am and Street games. All-new Dynamic Gameplay A.I. system. New AI behaviors that are true to life. So, when you play against star players who start to get hot and begin taking over a game, whether on offense or defense, you’re going to start to feel that. They’ll get the ball fed to them more and they’ll be much more aggressive. Depending on their personality types, they’ll start talking trash. There’s a new concept of post-whistle interactive where you can taunt the opposition or celebrate with your teammates. Players will start to do that depending on personality type. Your squad vs. the world. 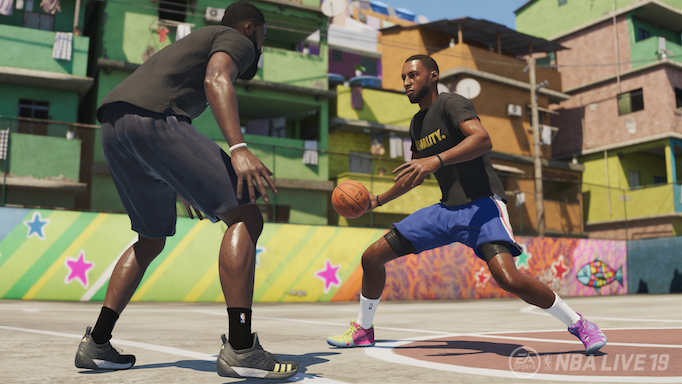 Not only can you compete in The League and The Streets, you’ll also be able to go around the world to different global courts where you’ll be able to recruit players who you play against and compete with, then form your squad as you go from game to game, court to court and country to country. Electronic Arts tried to mimic the style that many role-playing games have set forth in terms of creating an online party-style mode. This is a mode where not only can you play against friends, but you can actively try to one-up and compete for bragging rights. While most global courts are yet to be released, this seems to give a nostalgic feel similar to the classic Electronic Arts Sports’ NBA Street franchise. 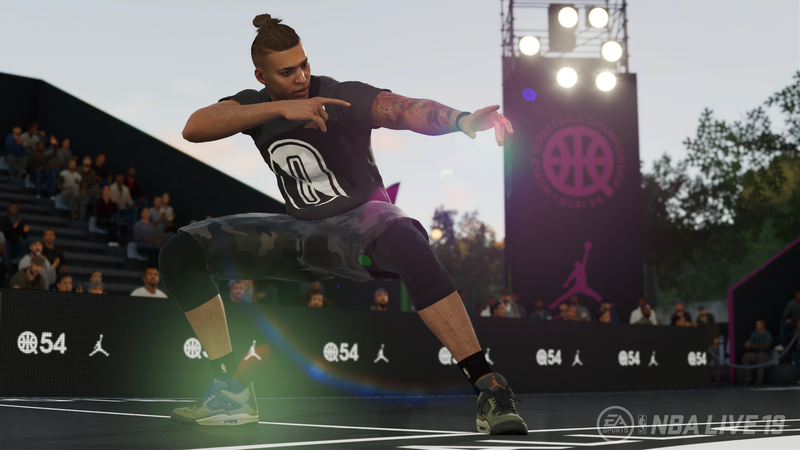 A number of NBA LIVE 19’s Live Events will be centered on this concept of building your squad, and you’ll get to do so in the most interactive way possible, where you might have one or two chances to pick up a certain player and add him to your team.